At More Than Paper, we have plenty of gift ideas for Mother's Day but also have a recommendation that Mom will cherish forever. 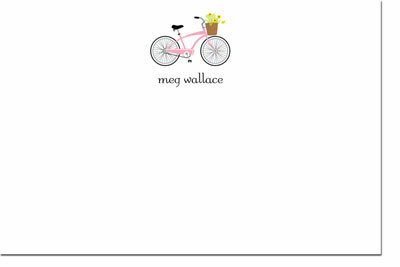 Take 10 or 15 minutes to sit down and write Mom a handwritten note on your personal stationery. In the note, specifically tell her why you appreciate her and all that she does for you. This expression of gratitude for Mom is sure to warm her heart. Have trouble starting out? Think about a time that was particularly difficult for you in your life. Recall how your Mom was supportive, or helped you through it. Reflect on how your Mom has shaped your life -- from your good manners to sportsmanship, winning smile to your artistic talents -- demonstrate something concrete in your letter. The more specific you can be, the better the note will be. This note requires a considerable amount of thought, which is why it's extra special. 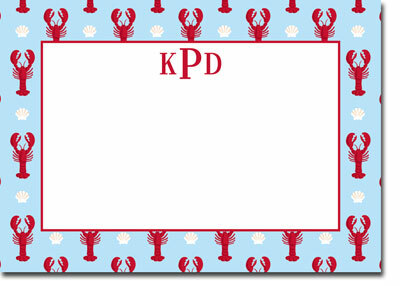 More Than Paper has plenty of personalized stationery choices for this occasion and all the others in your life. Here are some of our favorite styles! Or shop here for all of our adult stationery by Boatman Geller. For a whimsical note in the Spring or Summer, choose this one by Boatman Geller. 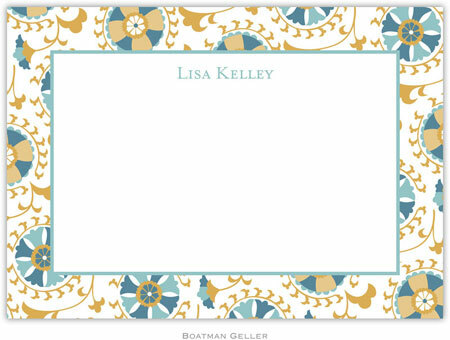 We love this brand new Suzani Gold flat card, also by Boatman Geller, for Spring 2014. 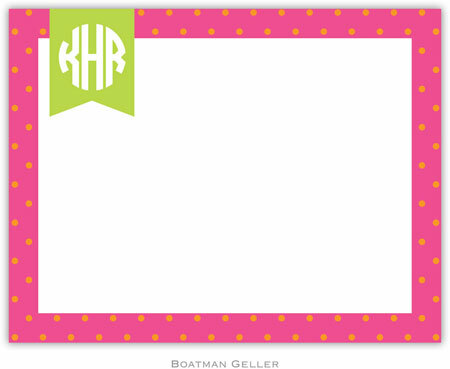 For the monogram lover, this pink, green and orange combo by Boatman Geller is perfect for Spring and Summer. Add your name at lower right corner for additional personalization! 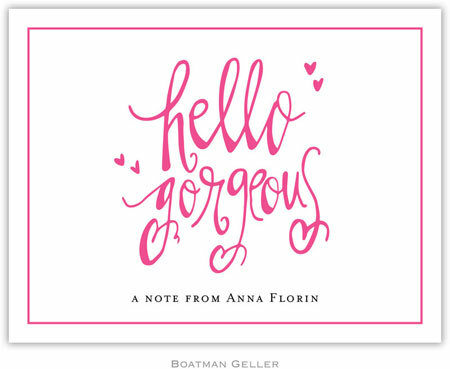 We adore this new style and trendy "Hello Gorgeous" note card from Boatman Geller, which features handlettering by artist, Erin Barrett. Personalize it to make it yours. 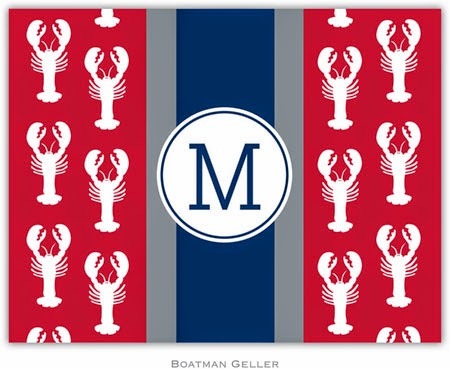 Another popular pattern is the New England inspired Lobster stationery from Boatman Geller. This pattern never goes out of style. This one here is a classic pattern. There are plenty of great choices for the season that fit all of your occasions. What's your favorite style? We'd love to hear. Tell us here on our blog or on Facebook, too -- what makes your Mom special? Will you be writing her a special note this Mother's Day?